ViUX Managed Cloud Hosting is available in a variety of service types and levels, from: Shared Cloud Hosting; to Cloud VPS Hosting; to Dynamic Dedicated Servers; all the way up to your own Virtual Datacenter… and all within multiple secure data center facilities, deployed upon our state-of-the-Internet Cloud Hosting System – for high-availability Cloud Hosting with 99.9% uptime guaranteed. Buy, Lease, Upgrade or Renew your SmarterMail license with a 10% discount. 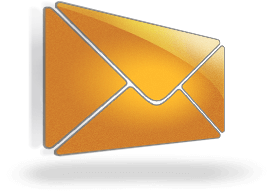 We offer hosted SmarterMail solutions as well. Buy, Lease, Upgrade or Renew your SmarterMail license… We offer Hosted SmarterMail solutions as well. 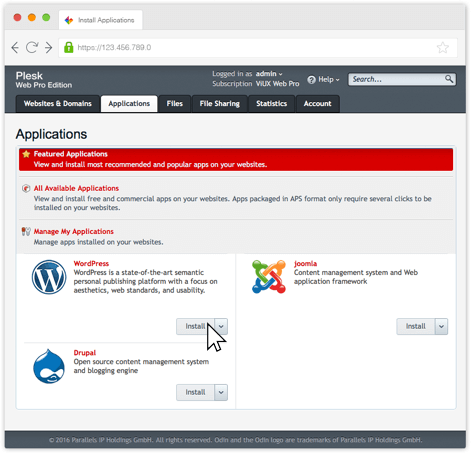 – using the Plesk Web Pro WordPress Toolkit! Truth in Hosting… ViUX® has a strict NO OVERSELLING policy. ViUX Hosting does not resell the same Diskspace, Email Accounts (Mailboxes) and other such resources over and over and over again to countless customers in expectation and hope that most of them will never come anywhere near to using the full amount of resources that they have been promised (sold). Sadly, many Web Hosting Providers do engage in this dishonest and disrespectful practice (called “Overselling”); and many more are fast adopting the same, because they feel that they must do so in order to compete with those that already have. Because we at ViUX® believe that there should be “Truth in Hosting“, you will not see any ViUX Hosting Plans offering: “Unlimited” Diskspace; “Unlimited” Mailboxes; or even: 100 GB of Diskspace; 1000 Mailboxes; etc… all for less than $5 per month! Really!?! We would consider such an offering to be dishonest, because resource quantities of those levels would cost far more than $5 to provide and still maintain profitability, without engaging in massive overselling of those same resources to a large group of unsuspecting customers. It is for this reason that we also consider overselling to be disrespectful to customers. To offer such incredible resource levels for such a ridiculously low price is only possible if the provider is large enough to take the hit and is actually willing to lose money to grow their customer base; or as is most often the case… The provider really has no intention of honoring those resources and has language in their Terms of Service (TOS) and Acceptable Use Policy (AUP) giving them an out by basically disallowing usage above a certain level (or percentage) and/or by restricting the “rate of growth” – which again, is dishonest and disrespectful to those unsuspecting customers. Further, Shared Hosting cannot meet the needs of every Website or customer… If someone actually needs ultra-high resource levels, then that is what Cloud VPS Hosting and Dedicated Servers are for. After all, consider that if Shared Hosting could really meet the needs of those requiring “UNLIMITED” resources – then it would be the only type of Web Hosting offered, as no other type of Hosting Service would ever be needed. 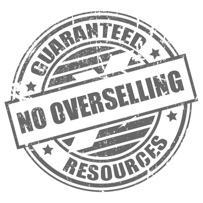 For more information on the practice of overselling and details of some “Unlimited” resources that ViUX Hosting does offer (such as Domains & Traffic)… please read our blog posting: Truth in Hosting… To Oversell or Not to Oversell – to gain additional insight into this topic. [Flexibility] is a general measure of access level, control, and customization supported by the system. For ViUX Shared Cloud Hosting, while we provide the ability to manage most aspects of Hosted Websites, Databases, and Email via Plesk Onyx to a level that is sufficient for most users – we must impose certain obvious restrictions and limits to maintain privacy, security, and stability for all our Shared Hosting Servers. Some examples of disallowed access and functions on our Shared Servers include: SSH; RDP; Anonymous FTP; certain scripting functions; and any application that requires a “.exe” install on the server. For ease of management and stability, we must also maintain an identical configuration for all Shared Hosting Servers – so any change made to ONE, must also be made to ALL. For this reason, we would have to refuse any configuration change request or install that cannot be safely rolled out to ALL Shared Servers on our network without having a negative impact on security, performance or stability. [Power] is a general measure of the ability to handle traffic in all its forms, such as: the number of Website visitors and Email volume sent / received, etc… Generally this is determined by the level of guaranteed resources provided for the Hosted Websites (i.e. Memory, CPU & Diskspace). [Power] is also an indication of how many Websites, Databases, and Mailboxes are able to be Hosted within the subscription. ViUX Shared Cloud Hosting uses Plesk Onyx to create a Distributed Shared Hosting System where Web, Database, and Email are Hosted on separate Cloud Servers deployed via Virtuozzo using ultra-fast SSD Cloud Storage. This results in a very powerful Shared Hosting System that is able to meet the needs of most customers. [Ease of Use] is a general measure of a “novice” user’s ability to learn and use the system quickly and effectively; while also taking into consideration that ViUX provides a managed service, with full text and video documentation, as well as, real-time 24/7/365 Expert Technical Support via Live Chat, Email / Ticket, and Phone – to get customers up and running quickly and to provide any needed assistance. [Flexibility] is a general measure of access level, control, and customization supported by the system. For ViUX Cloud VPS Hosting (because it is a Virtual Private Server), we are able to allow great latitude for what customers are able to do with their VPS. As long as it does not violate our Terms of Service our cause a negative security or performance impact on our system or network – then pretty much anything is possible and permitted to that extent. 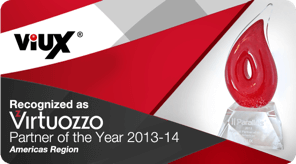 Further, adding optional Plesk Onyx greatly increases the level of access and control. Also included is Virtuozzo Power Panel, which enables full server level and service control – such as starting and stopping services, reinstalling, rebooting, etc… plus direct access to server backups. ViUX Cloud VPS are Virtual Private Servers in the Cloud via Virtuozzo using ultra-fast SSD Cloud Storage. This results in very powerful Cloud VPS with a high-level of guaranteed resources and the ability to burst above the guaranteed resource levels for a short time when under peak load. [Ease of Use] is a general measure of a “novice” user’s ability to learn and use the system quickly and effectively; while also taking into consideration that ViUX provides a managed service, with full text and video documentation, as well as, real-time 24/7/365 Expert Technical Support via Live Chat, Email / Ticket, and Phone – to get you up and running quickly and to provide any needed assistance along the way. [Flexibility] is a general measure of access level, control and customization supported by the system. For ViUX Dynamic Dedicated Servers, as long as it does not violate our Terms of Service or cause a negative security or performance impact on our system or network – then you are only limited by your imagination. Each Dynamic Dedicated Server is able to run multiple Virtual Dedicated Servers (VDS) of any desired configuration – and you can manage them via the Virtuozzo Panel from any Internet connected device. Further, adding optional Plesk Onyx into a VDS greatly increases the level of access and control of that specific Virtual Server. [Power] is a general measure of the ability to handle traffic in all its forms, such as: the number of Website visitors and Email volume sent / received, etc… Generally this is determined by the level of guaranteed resources provided for the Hosted Websites (i.e. Memory, CPU & Diskspace). [Power] is also an indication of the number of Websites, Databases, and Mailboxes that are able to be Hosted in the subscription. For ViUX Dynamic Dedicated Servers, [Power] is at a premium because of the massive amount of guaranteed resources provided, and because of the ability to create multiple Virtual Dedicated Servers of the exact desired resource configuration needed for a specific purpose. For ViUX Dynamic Dedicated Servers, we provide the Virtuozzo Panel from which everything can be managed on any device, anywhere, anytime. Also, within each Virtual Dedicated Server, Plesk Onyx may optionally be added to aid in management of Websites and Web Services within any specific VDS.